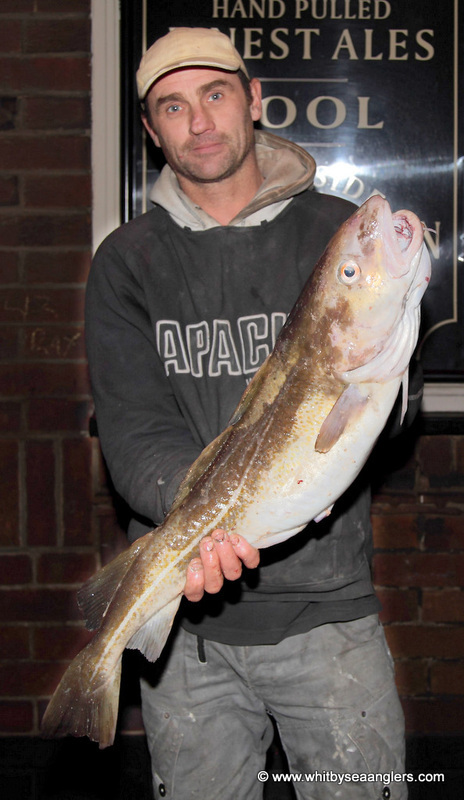 Congratulations to WSAA Open winner Pete Dunn, from Scarborough, heaviest bag of 14 lb 02 1/2 oz and this photograph of his heaviest fish, a cod of 12 lb 00 oz. 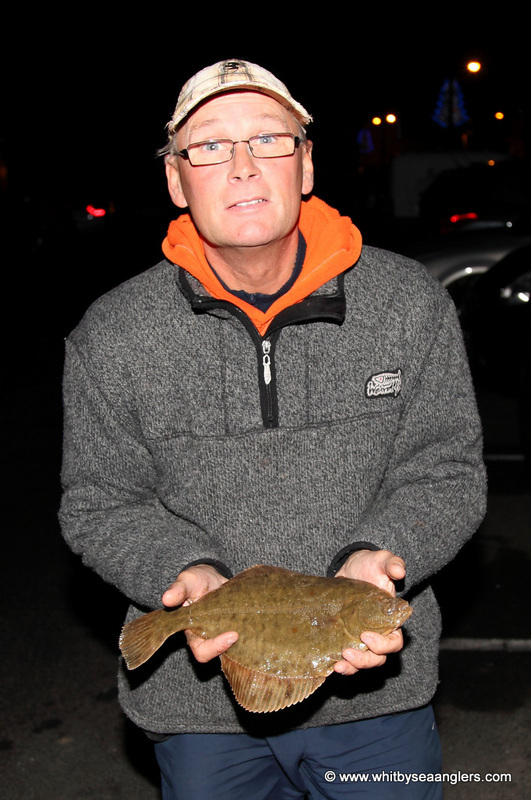 Congratulations to Gary Pye, from Peterlee, 3rd overall, but this pollack of 4 lb 14 1/2 oz got him 2nd place in the super pool. 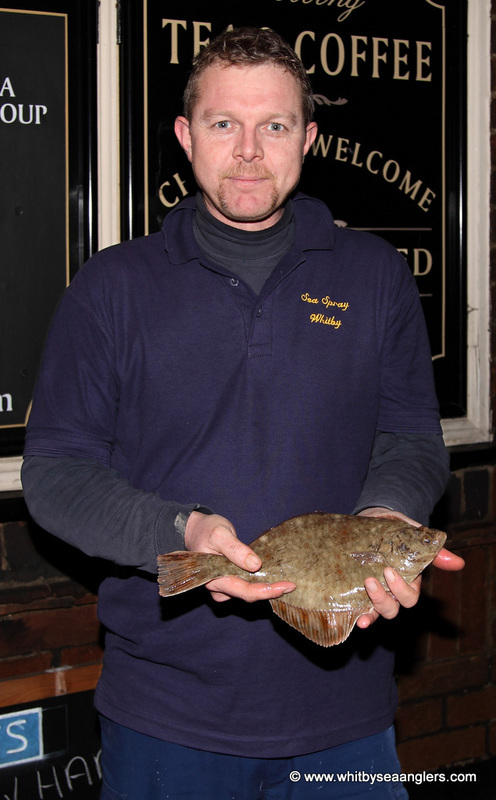 Congratulations to Mike Bowman (WSAA member), from Liverton Mines, who has the bragging rights to catching the smallest fish by weight, a flat fish of 0 lb 04 1/2 oz. 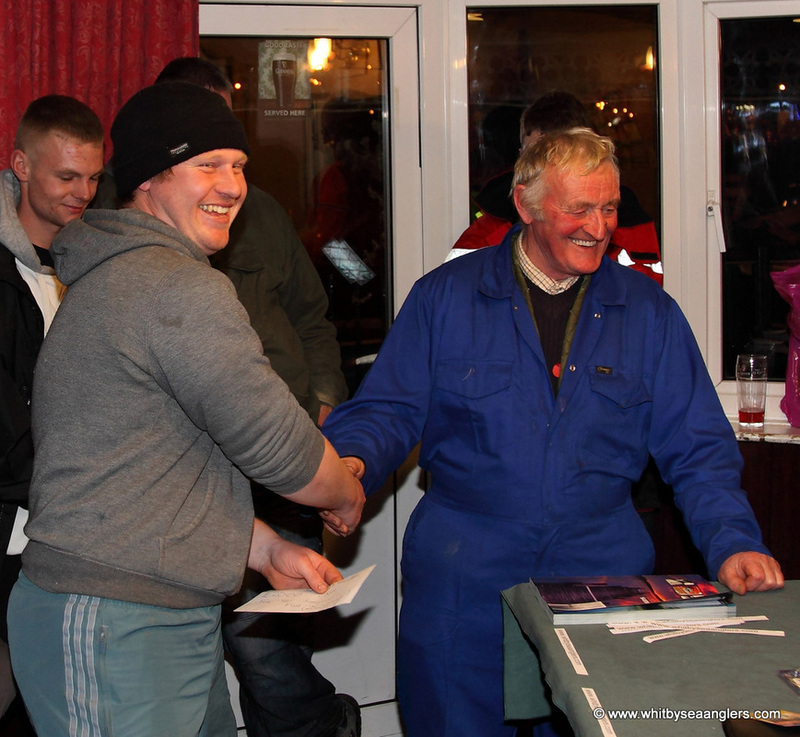 receives £20 from Chairman W Atkinson. 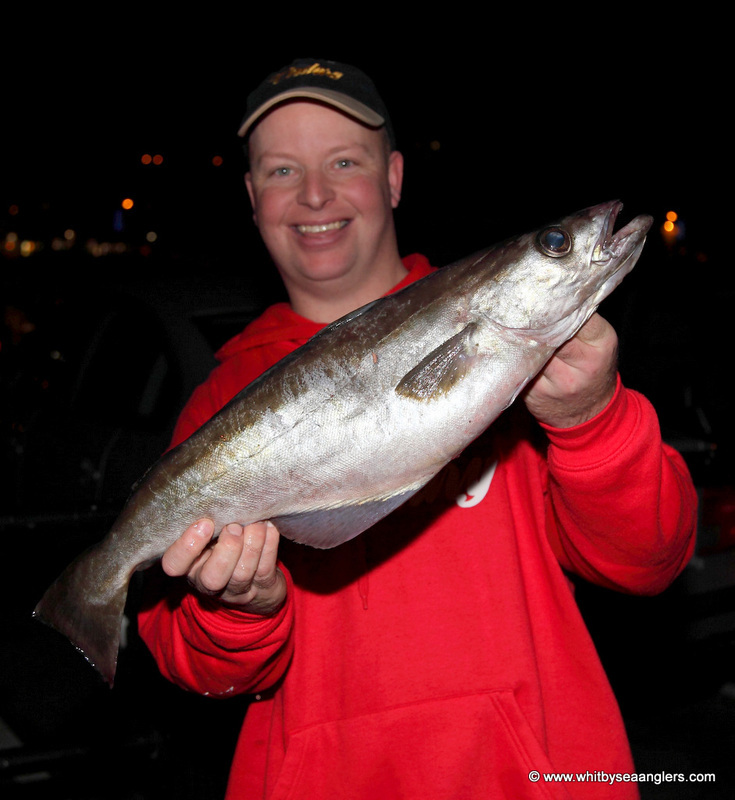 Sponsored by James Verrill of Mariondale Fisheries. Congratulations to Pete Dunn, from Scarborough, winner of the 33rd WSAA Open, sharing a short joke with Chairman W Atkinson. 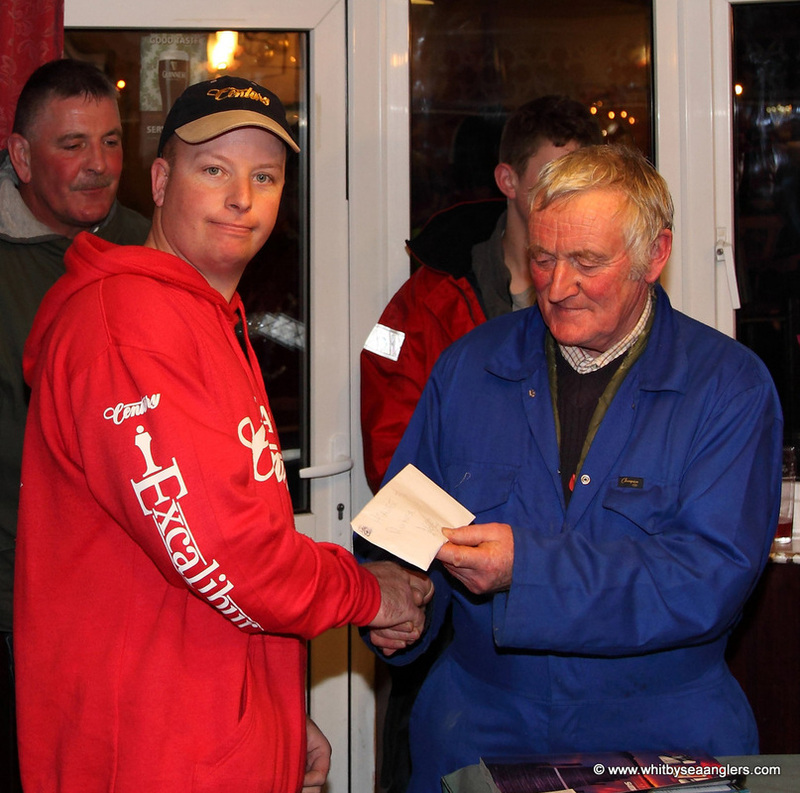 Congratulations to Gary Pye, from Peterlee, 3rd place with 6 lb 11 oz with Chairman W Atkinson. 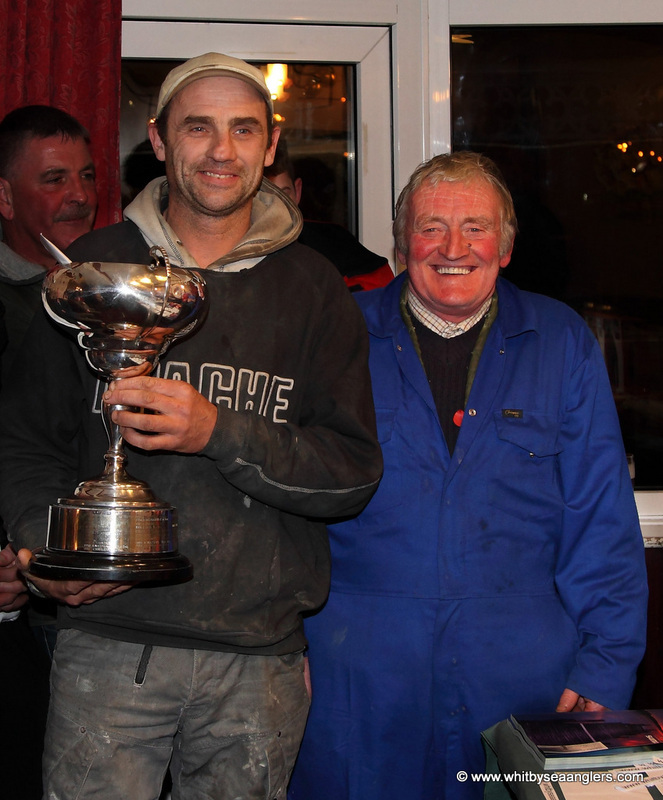 Weigh masters James Gilpin and Bernard Vasey. 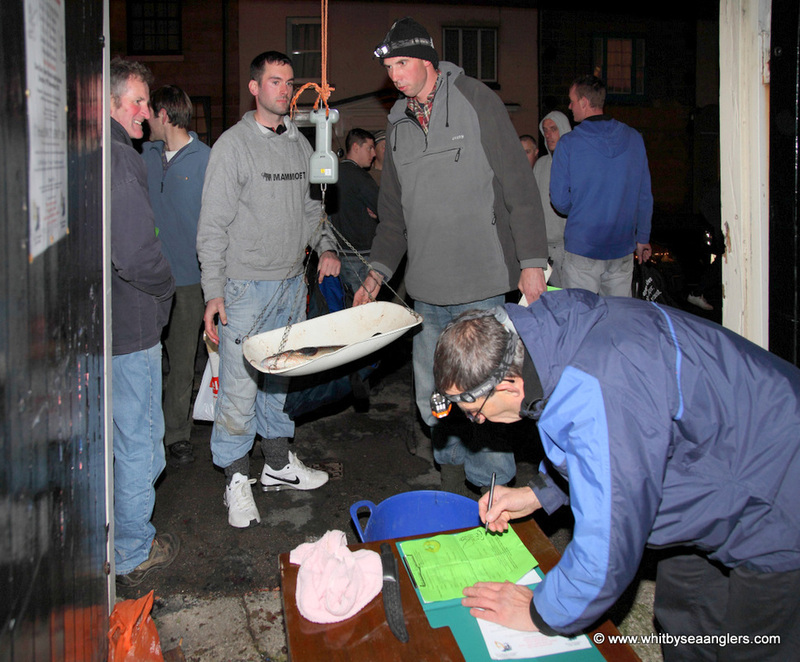 James Gilpin and Bernard Vasey overseeing the weigh in. 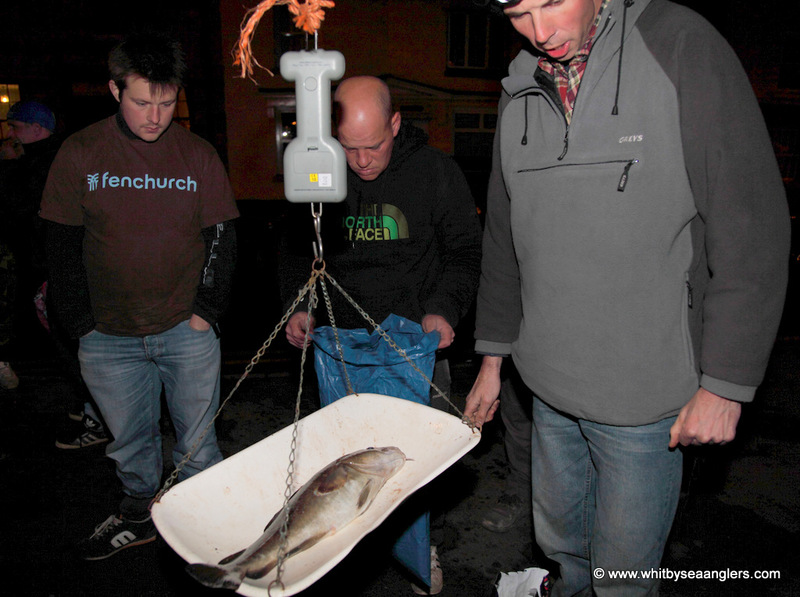 Angler of the future watches as a competitor pulls another fish out of the bag. Ben Laws looks on as James Gilpin steadies the pan. 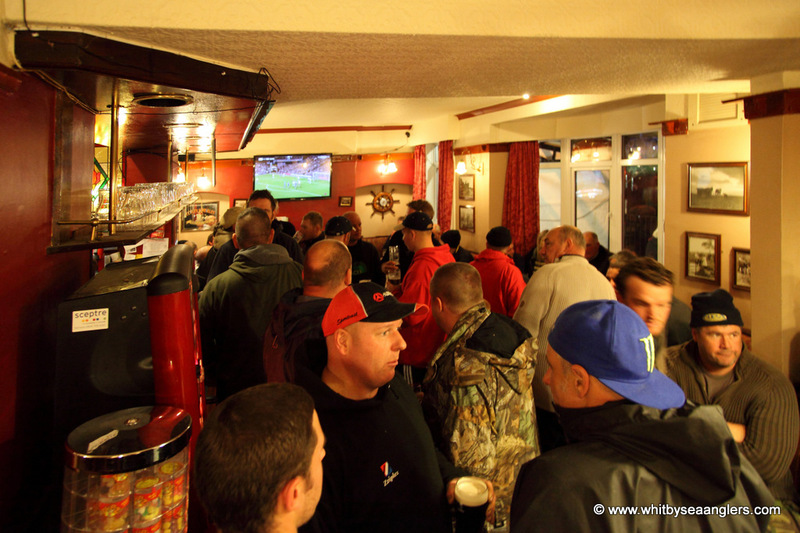 Inside the Fleece, anglers take refreshment as the organizers crunch the numbers. 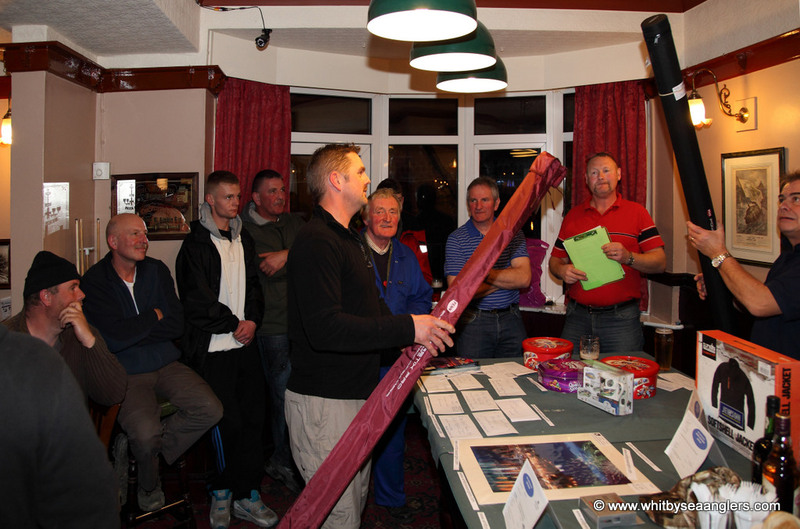 Decision time as an angler inspects a fishing rod donated by Whitby Angling Supplies. 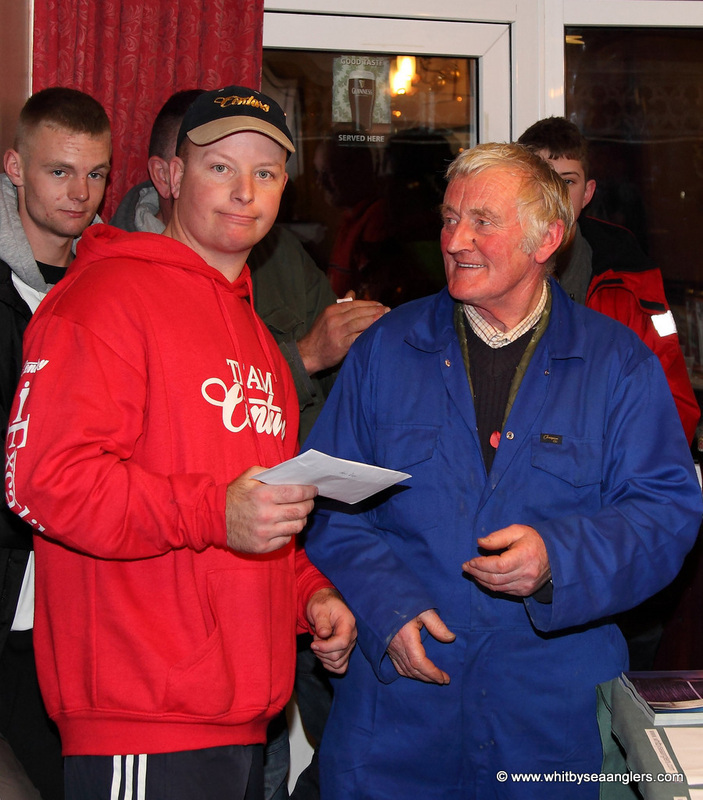 Chris Wood from Redcar collects his £50 from Chairman W Atkinson for the heaviest flat fish of 1 lb 01 oz. 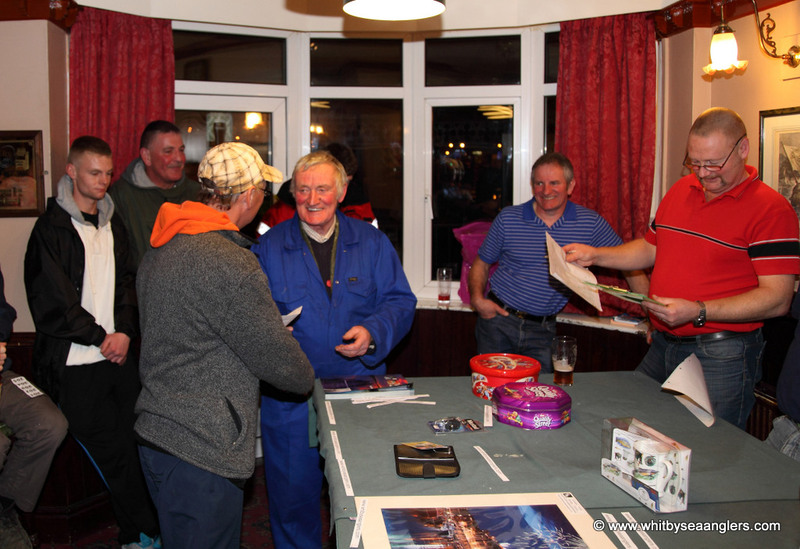 Pete Dunn, from Scarborough, collecting his Super pool winnings from Chairman W Atkinson. 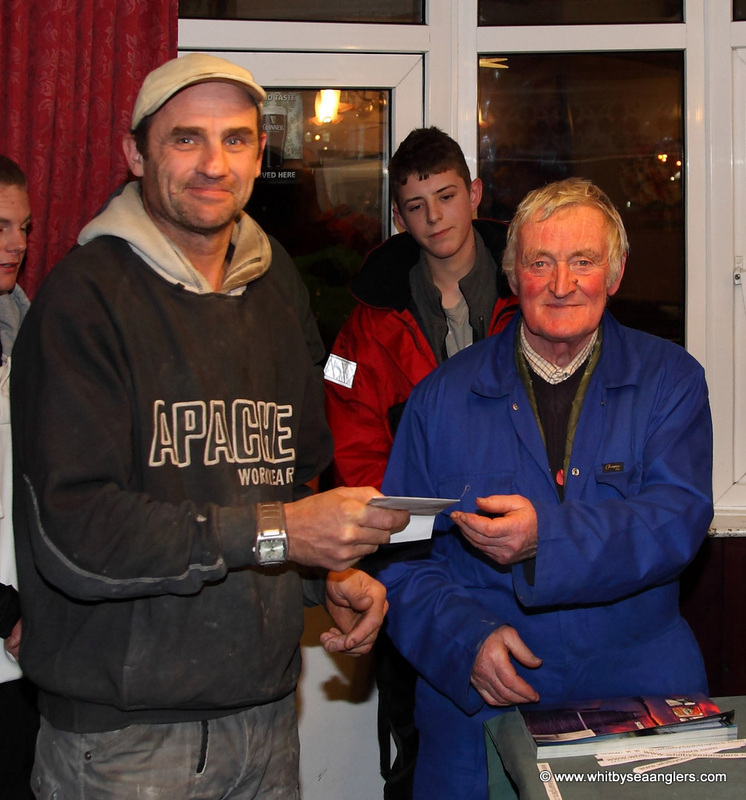 Gary Pye, from Peterlee, collecting his Super Pool money from Chairman W Atkinson. Thank you to all who participated and look forward to seeing you all next year. and Whitby Harbour seaward side of swing bridge. at The Fleece, Church Street, Whitby. 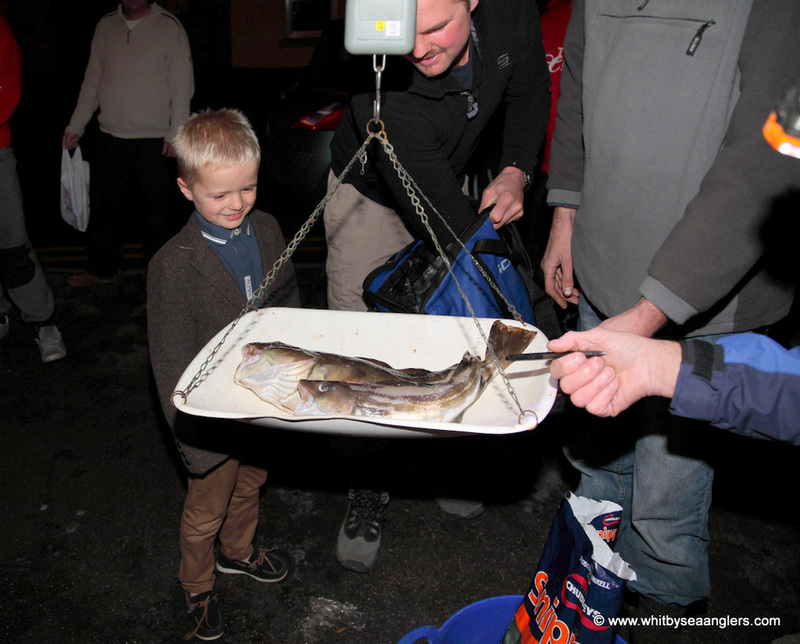 Winner will be the competitor with the heaviest bag of fish. 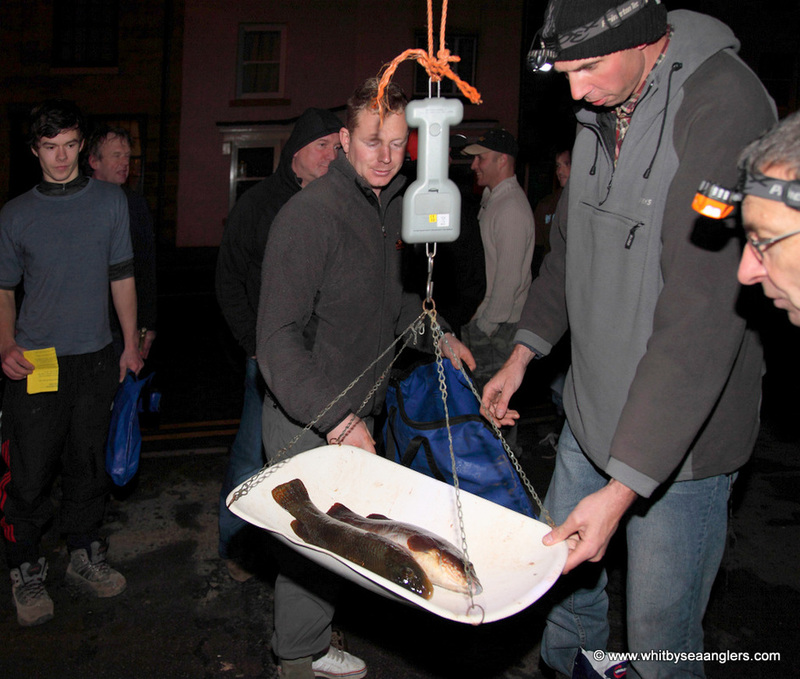 £20 for smallest single fish by weight within size limits sponsored by J Verrill, Mariondale Fisheries. Adults Ticket £12, Juniors Ticket £3, must be under 17 years old. 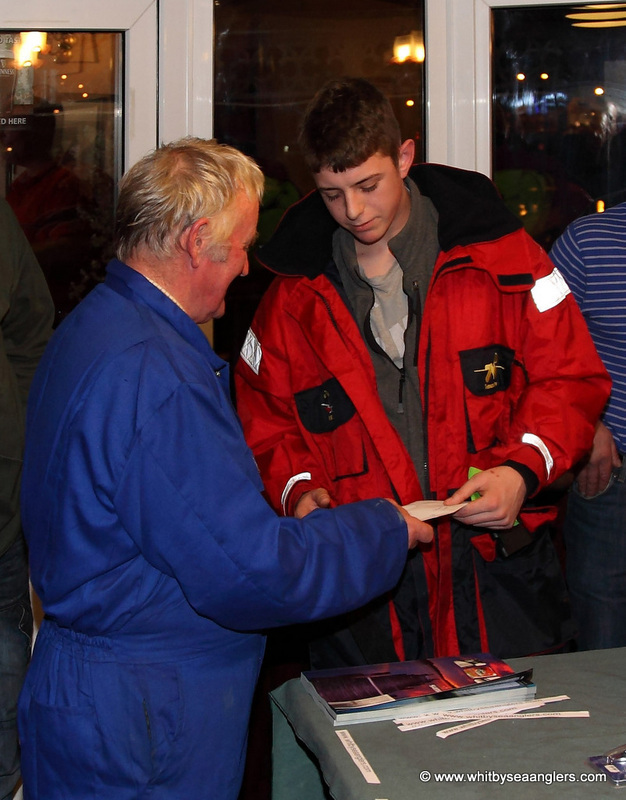 Junior section competition. Keith’s Sports, Milton Street, Saltburn.